As Director of Newport News Department of Development, Florence Kingston has been a force in local and regional economic development for more than 39 years. She has overseen and negotiated many of the transformative projects that have shaped Newport News into a vibrant, business friendly city. She fosters and inspires a culture of strategic thinking and visionary implementation, and has worked on groundbreaking projects at City Center at Oyster Point, Canon Virginia, Inc. and Newport News Shipbuilding’s Downtown Apprentice School. While working on multi-million dollar agreements with international companies, she also maintains focus on retaining the city’s small and medium-sized businesses and revitalizing areas of the city with the greatest need. A life-long local, Florence is a graduate of Ferguson High School and The University of Virginia. She is a member of the International Economic Development Council, the Southern Economic Development Council, the Hampton Roads Association for Commercial Real Estate, the Council of Development Finance Agencies, the Virginia Economic Developers Association, the Virginia Chamber of Commerce, the Tidewater Small Business Financing Authority, and serves on the Boards of Directors of Virginia Community Capital and Community Capital Bank of Virginia. 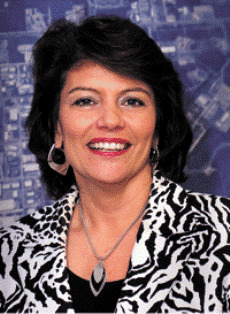 Her civic activities include past Vice President and Treasurer of Girls, Inc. of the Greater Peninsula and she has served on the Boards of People-to-People, Visionarias, The Newport News Green Foundation, and the Christopher Newport University’s Joseph W. Luter, III College of Business & Leadership Board of Advisors. She currently serves on the Board of First United Methodist Church Foundation and Board of Trustees.